This is a service we offer to both commercial and residential clients and a great way to give your existing awning a new lease of life. 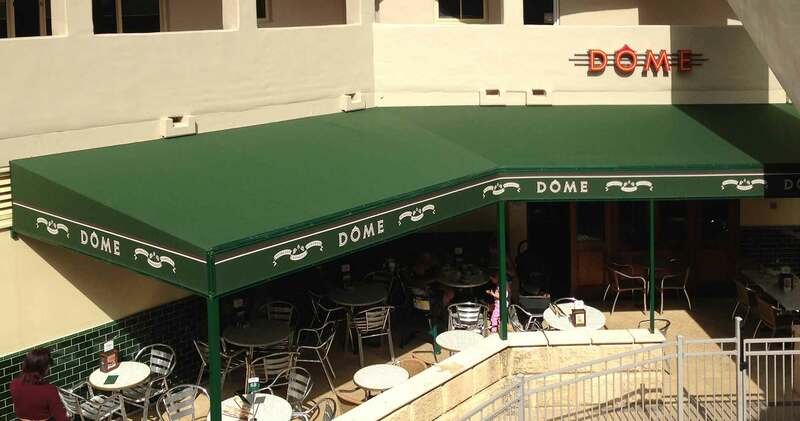 If your existing fixed awning still has strutural integrity or your retractable awning still functions well, then the perfect way to rejuvernate your business or home alfresco is to have a brand new cover made for your awning. ▸ DO YOU NEED TO REMOVE THE AWNING? Normally no, we can carry out the recover service without removing the awning. However sometimes it may be necessary to take the awning down to install the new fabric. ▸ DO I NEED TO HAVE THE SAME FABRIC? No it is actually quite common to find that an inferior fabric type has been used so we will always provide you with all your options from our fabric collections. ▸ CAN YOU REPAIR BROKEN PARTS? Due to our technicians having great experience with awnings we are sometimes able to repair or replace broken parts when we carry out the recover. However in a lot of instances the parts are now obsolete so we are unable to replace them. ▸ CAN YOU JUST REPAIR A TEAR OR HOLE? Due to the age and brittle nature of most old fabrics, together with the cost involved in removing and reinstalling the fabric, we are not able to repair existing fabrics. ▸ DO YOU SERVICE THE AWNING? 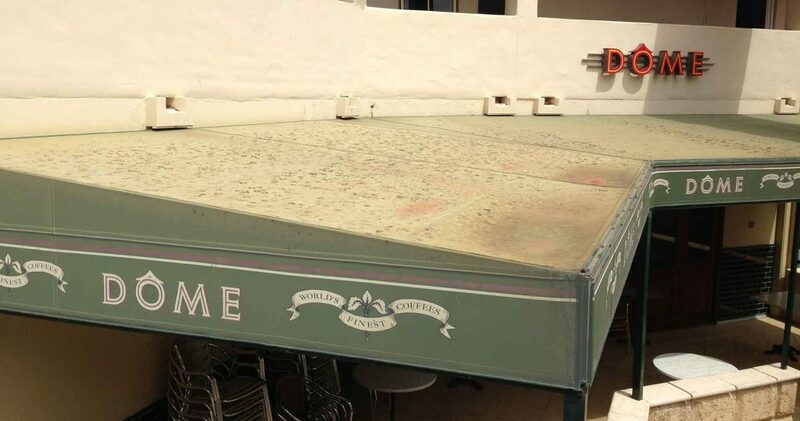 Yes when we recover an awning we also carry out a lubricating and cleaning service. ▸ DO YOU PROVIDE A WARRANTY? All our new fabric covers come with a full 5 year warranty. We are however unable to provide any warranty to the original awning frame or parts.